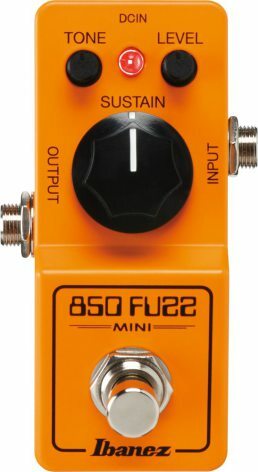 Ibanez is releasing the mini version of their recent reissue of their classic OD850 fuzz pedal — the FZMINI. Designed to capture the spirit of the full, fat fuzz tones that dominated the soundtrack of the 70s, the compact FZMINI recreates the classic fuzz sound with a sweet, organic tone that almost feels three-dimensional. Players will appreciate its extremely musical effect as well as its small footprint.